Introduction: Depression is known as a mental disability. In recent years, interest in spirituality as a factor in decreasing depression symptoms has increased. The current study evaluated scientific articles on spirituality and depression indexed in the Scopus, PubMed, and Web of Science (WoS) databases. Methods: This bibliometric review collected all articles on the subject of spirituality and depression published through 2016 from the Scopus, PubMed, and WoS databases. The citation counting period was until 13 September 2017. Data on the yearly trend, top-cited articles, most frequently cited journals, article type, multi-author collaboration, and international collaboration was collected from both articles from Iran and other countries. Results: A total of 516 documents published by the end of 2016 were retrieved from the Scopus, PubMed, and WoS databases. The type of article most published was original article (355 (68.8%) articles). The findings showed that the number of documents increased from 1 document in 1932 to 55 documents in 2016. Authors from the USA have produced approximately 60% of the documents published on this matter in the three searched databases, while Iran ranks second with 5.8% (32 documents) of the scientific articles published by the end of 2016. In these 516 articles, multi-author collaboration and international collaboration accounted for 80.7% and 10.6% of articles, respectively. The average number of citations per paper was 19.8 (H-index=47) and 14.6 (H-index=42) in the Scopus and WoS databases, respectively. These rates for Iranian articles were 2.9 (H-index=6) and 0.9 (H-index=3), respectively. Only 4 Iranian papers had been cited between 7 to 15 times; all other Iranian articles had been cited fewer than 4 times. Conclusions: Iran has a low number of articles on spirituality and depression in the international indexes. As a religious and ideological country, Iran needs to increase its efforts to extend its spiritual and religious ideas on the international level. Establishing effective research networks that include other universities or countries and encouraging researchers and journals to focus on hot topics and international indexes are two approaches to managing future research in Iran. World Health Organization (WHO). Depression, a hidden burden: Let’s recognize and deal with it. WHO website. http://www.who.int/entity/mental_health/management/depression/flyer_ depression_2012.pdf?ua=1. Published 2012. Steffens DC, Skoog I, Norton MC, et al. Prevalence of depression and its treatment in an elderly population: the Cache County study. Arch Gen Psychiatry. 2000;57(6):601-607. doi:10.1001/ archpsyc.57.6.601. Steffens DC, Blazer DG. Mood disorders. In: Blazer DG, Steffens DC, eds. Essentials of Geriatric Psychiatry. 2nd ed. Washington, DC: American Psychiatric Publishing; 2012:125–148. Marcus M, Yasamy MT, van Ommeren M, Chisholm D, Saxena S. Depression: A global public health concern. http://www.who.int/mental_health/management/depression/who_paper_depression_wfmh_2012.pdf. Published 2012. Walsh F. Strengthening family resilience. 2nd ed. New York: The Guilford Press; 2015. Brown DR, Carney JS, Parrish MS, Klem JL. Assessing spirituality: The relationship between spirituality and mental health. J Spiritual Ment Health. 2013;15(2):107-122. doi:10.1080/19349637.2013. 776442. Hill PC, Pargament KI. Advances in the conceptualization and measurement of religion and spirituality: Implications for physical and mental health research. Psycholog Relig Spiritual. 2008;S(1):3- 17. doi:10.1037/1941-1022.S.1.3. Vieten C, Scammell S, Pilato R, Ammondson I, Pargament KI, Lukoff D. Spiritual and religious competencies for psychologists. Psycholog Relig Spiritual. 2013;5(3):129-144. doi:10.1037/a0032699. Exline JJ, Prince-Paul M, Root BL, Peereboom KS. The spiritual struggle of anger toward God: a study with family members of hospice patients. J Palliat Med. 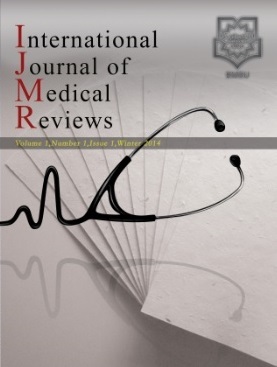 2013;16(4):369-375. doi:10.1089/jpm.2012.0246. Koenig HG. Depression in chronic illness: does religion help? J Christ Nurs. 2014;31(1):40-46. doi:10.1097/cnj.0000000000000016. Koenig HG, King DE, Carson VB. Handbook of Religion and Health. 2nd ed. New York, NY: Oxford University Press; 2012:145- 173. Sandage SJ, Williamson I. Relational spirituality and dispositional forgiveness: a structural equations model. J Psychol Theol. 2010;38(4):255-266. doi:10.1177/009164711003800403. Strelan P, Acton C, Patrick K. Disappointment with god and well‐being: The mediating influence of relationship quality and dispositional forgiveness. Couns Values. 2009;53(3):202-213. doi:10.1002/j.2161-007X.2009.tb00126.x. Levin J. Is depressed affect a function of one’s relationship with God? : Findings from a study of primary care patients. Int J Psychiatry Med. 2002;32(4):379-393. doi:10.2190/3183-WPYV-3KYY-K3V7. Koenig HG, Larson DB, Larson SS. Religion and coping with serious medical illness. Ann Pharmacother. 2001;35(3):352-359. doi:10.1345/aph.10215. Riviera E. Mapping scientific literature: Structuring scientific communities through scientometrics [dissertation]. Milan: Department of Sociology, University of Bicocca; 2011-2012. Wallace DP, Van Fleet CJ. Knowledge into Action: Research and Evaluation in Library and Information Science: Research and Evaluation in Library and Information Science. ABC-CLIO; 2012. Yu Q, Shao H, He P, Duan Z. World scientific collaboration in coronary heart disease research. Int J Cardiol. 2013;167(3):631- 639. doi:10.1016/j.ijcard.2012.09.134. Huamani C, Rey de Castro J, Gonzalez-Alcaide G, Polesel DN, Tufik S, Andersen ML. Scientific research in obstructive sleep apnea syndrome: bibliometric analysis in SCOPUS, 1991-2012. Sleep Breath. 2015;19(1):109-114. doi:10.1007/s11325-014-0969-x. Shahrabi Farahani H, Eskrootchi R, Mohaghegh N, Hosseini AF. A study of scientific collaboration in Iranian cardiovascular articles in web of science; 2002-2011. Journal of Health Administration. 2014;17(56):46-55. Persson O. Are highly cited papers more international? Scientometrics. 2010;83(2):397-401. doi:10.1007/s11192-009- 0007-0.
van den Besselaar P, Hemlin S, van der Weijden I. Collaboration and competition in research. High Educ Policy. 2012;25(3):263- 266. doi:10.1057/hep.2012.16. Cronin B, Shaw D. Citation, funding acknowledgement and author nationality relationships in four information science journals. J Doc. 1999;55(4):402-408. doi:10.1108/EUM0000000007153. Zyoud SH, Al-Jabi SW, Sweileh WM, Waring WS. Scientific research related to calcium channel blockers poisoning: Bibliometric analysis in Scopus, 1968-2012. Hum Exp Toxicol. 2015;34(11):1162-1170. doi:10.1177/0960327115571768. Zyoud SH, Al-Jabi SW, Sweileh WM, Awang R. A Scopus-based examination of tobacco use publications in Middle Eastern Arab countries during the period 2003-2012. Harm Reduct J. 2014;11:14. doi:10.1186/1477-7517-11-14.